Can 10th Planet Jiu-Jitsu specialist George Sotiropoulos keep his 7-fight winning streak? 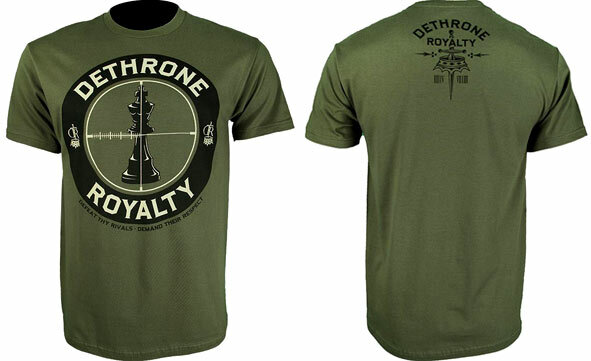 We’ll, we’ll find out as he fights Joe Lauzon at UFC 123, and he’s walking out in his classic Dethrone George Sotiropoulos UFC 123 Walkout T-Shirt! This 100% cotton shirt features a very good graphic representation of a “checkmate” in chess, with a crosshair aimed at the king piece. It also says “Defeat thy rivals, demand their respect”. Pretty awesome. 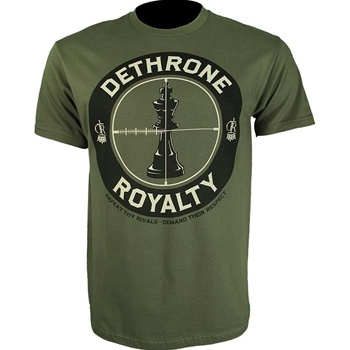 Available at MMAWarehouse for 24 bucks!